PulauPerhentian, situated 21km off the coast of Terengganu. The name “Perhentian” means “stopping point” in Malay. 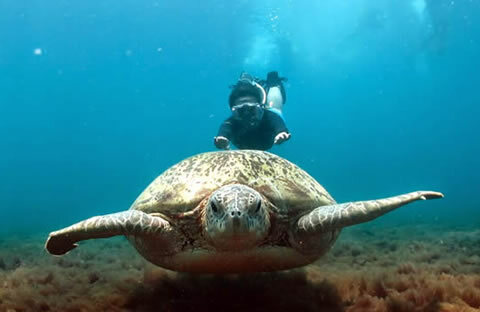 Being far away from the mainland, PulauPerhentian is rich in coral and marine life which includes stingrays, nudibranchs, black corals, moray eels, turtles, sharks and colourful fishes. There are two main islands — PulauPerhentianBesar (PerhentianBesar Island) and PulauPerhentian Kecil (Perhentian Kecil Island) — plus several large rocky outcrops to the northeast namely PulauTokong Kemudi Barat (Tokong Kemudi Barat Island), Pulau Dara Kecil (Dara Kecil Island), PulauTokong Kemudi (Tokong Kemudi Island), Pulau Rawa (Rawa Island), Pulau Burung (Burong Island) and Pulau Serenggeh (Serenggeh Island). Typical of most tropical islands, the two main islands are heavily forested and ringed with white sandy beaches. The main village is situated on the southeast coast of PulauPerhentian Kecil and the locals are a friendly and hospitable lot. 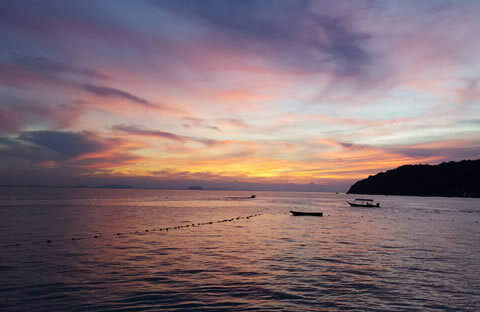 Perhentian is one of the best diving spots in Malaysia, and is also excellent for snorkeling and jungle trekking. 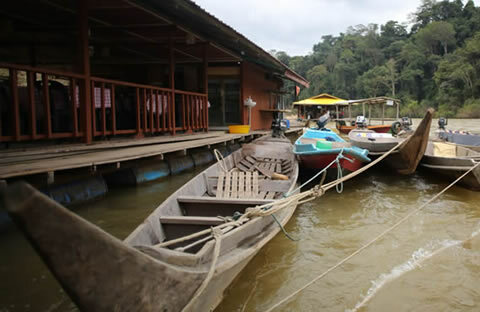 Its laid-back atmosphere makes it the perfect getaway.